In this program, we need to add two matrices and print the resulting matrix. Addition of two matrices can be performed by looping through the first and second matrix. 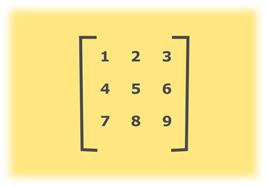 Add the corresponding elements of both matrices and store the result in the third matrix. Declare and initialize 2 two-dimensional arrays a and b. Declare another array sum with the similar dimensions. Display the elements of array sum.